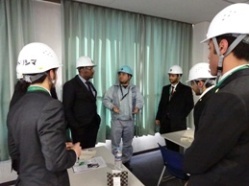 The participants of King Fahd University of Petroleum & Minerals（KFUPM）Study Tour in Japan 2015 stayed in Japan from 19th of March to 27th of March. 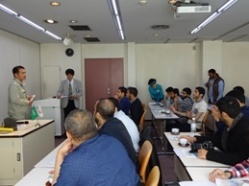 Originally, the study tour started based on the request of KFUPM through the Royal Embassy of Saudi Arabia Cultural Office, Japan. 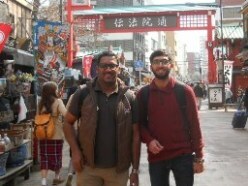 JICE planned and conducted the study tours for 5 times by now and this tour actually was the 6th Study Tour in Japan. KFUPM annually carries out Study Tours abroad as a part of special educational programs. 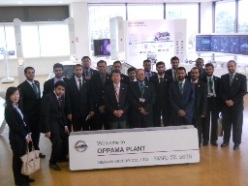 The participants of the Study Tour in Japan 2015 consisted of 20 students and 3 faculty members who have various background and fields of major respectively. We set three major aims for the tour.1) Visiting famed Companies, 2) Visiting prestigious Universities, 3) Understanding Japan and its culture. JICE organized the program for all participants with careful deliberation according to the objects mentioned above. We tried to clarify every need given by KFUPM in detail before we finalized the contents. 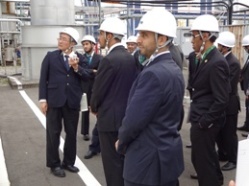 We carefully arranged the program such as site visits, laboratory visits and exchange programs with Japanese students. We are pretty sure that the participants optimized this opportunity and the tour was completed with great success. 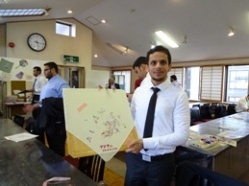 During their stay in Japan, the participants worked very hard. They studied about the companies and universities they were supposed to visit beforehand and made a presentation on the way to the sites. Also they took part in the Q&A sessions actively. After each visit, they talked a lot with the guidance of the faculty members to clarify what they had learned at the site. We are sure that they made the most of their opportunities to learn Japanese advanced philosophy and technologies. 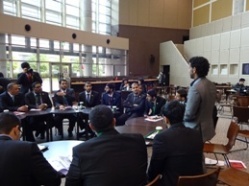 In conclusion, this study tour in Japan 2015 resulted in quite a fruitful program for all of them. JICE will continue to fully promote human resources development activities in close consultation with Japanese cutting-edge enterprises or organizations. RITSUMEIKAN University TORISHIMA Pump Mfg. Co., Ltd.